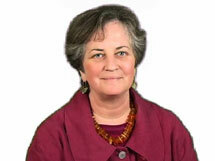 Renée Burgard is a psychotherapist, consultant, and educator in private practice at Mindfulness & Health in Los Altos. She teaches Mindfulness-based Stress Reduction (MBSR) programs for the Palo Alto Medical Foundation, Google, Inc., Apple Computer, and schools, nonprofits, and other corporations in the SF Bay Area. She serves as a senior MBSR instructor and mentor for teachers and psychotherapists in Northern California. She received training in MBSR from Jon Kabat-Zinn; in Mindful Self-Compassion from Kristin Neff and Christopher Germer; and is studying Interpersonal Neurobiology with Dan Siegel, MD. She is an expert contributor on the topic of mindfulness for Sutter Health’s MyLifeStages and Health blogs on their website, and for GoodTherapy.org.